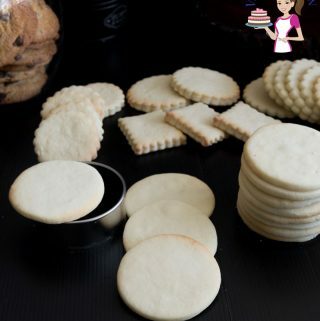 If you are looking for the perfect sugar cookies, then this no spread sugar cookies is the best. It takes 5 mins to mix and 10 mins to bake. The cookies do not spread no matter what shape you use. 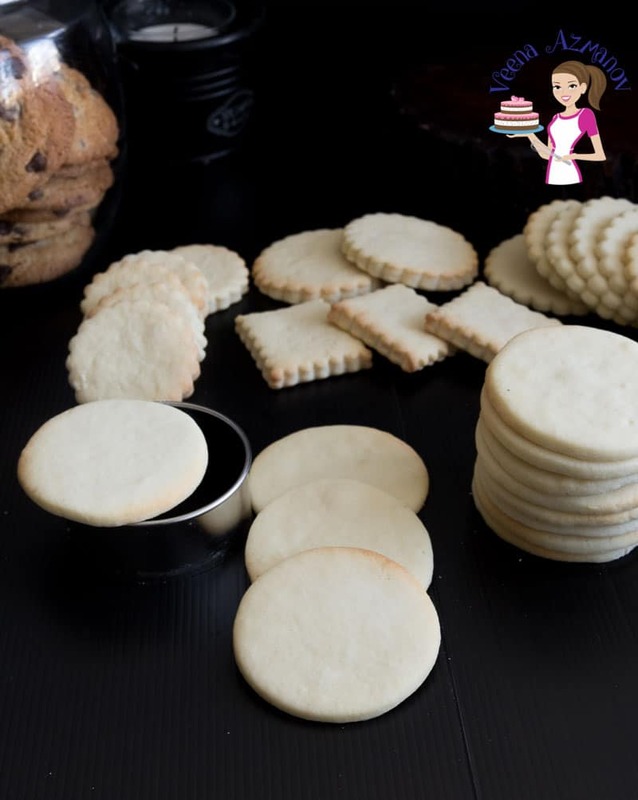 Soft and chewy, with a shortbread texture, they can be eaten on their own or decorated with royal icing or fondant. Cream butter and powdered sugar in your mixing bowl until light and fluffy. Do not skimp on this step or the cookies will be very dense. Followed by the eggs one at a time - incorporating each well. Next goes in the cornstarch and flour. Do not over mix once the flour is incorporated. Wrap in cling/plastic wrap for at least 1 to 2 hours. Once the dough is chilled, roll it on a lightly floured surface evenly. I roll my cookies 1/8 inch or 3 mm thick using a rolling pin with spacers. For best results, I prefer to chill the cookies while the oven is preheating. The dough can be kept in the fridge for up to 4 days, or Frozen for up to three months. If frozen thaw in the fridge over-night before you roll out. The baked cookies will stay at room temperature for up t0 2 weeks but best eaten within a few days.